Bring your pet collection into the REAL WORLD! 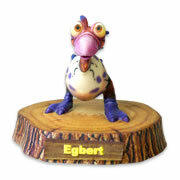 FigurePets™ are limited edition collectibles (about 3" high) depicting WoW's in-game companion pets. 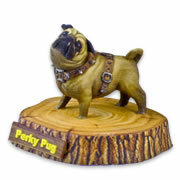 Produced by FigurePrints®, these adorable figurines are released in limited edition sets of three. I wish I had known about these. Than again, I'd be cool with it if they were still making some lol. Wonder if they're going to do a 'crossover battle' with Skylanders. Can't wait to get my Series 3! I can't wait to get series 2, they are adorable!!! now that we see that they can do the whelpling pets i think that they definitely need to do the crimson and emerald whelplings! 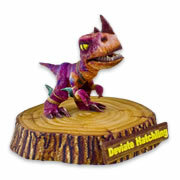 a phoenix hatchling would be seriously awesome, i'd be one of the first in line for that one! another one that really needs to get made is the squashling! i love that little evil pumpkin! i also hope that they start to offer figureprints of characters with favorite mounts! Just got my order in the mail...Speedy's name is Bip Bip tho...anyone else get this? I'd really love one of my guild's mascot, a Wolpertinger. The Pheonix pet would be great :) I would definitely get that. 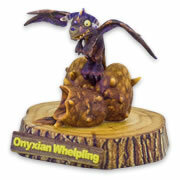 And maybe Willy, Sporebat, the Whelpings, Hippogryph, Kirin Tor Familiar, Frosty or the Netherwhelp. 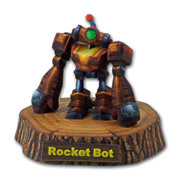 I had to order the first set, because Speedy and Stinker are among my favorite pets and it's my only chance to get the Rocket Bot, which I do not have in game. 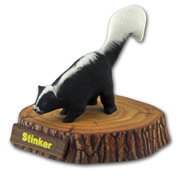 In the future I would like to see Murky, the Panda Cub and the Sinister Squashling. At last year's Blizzcon they had a Speedy on display and I thought he looked really good. Much better than the Figure Print I had made of my Blood Elf Hunter when they first started all this. I guess they've improved over time. 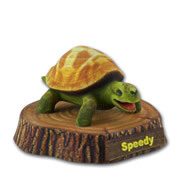 ** Got my Speedy today (7/23/09). Was shipped on the 13th. Shipping is slow because it's from Canada. Unlike the Figureprints characters the pets don't come in a glass case. I'm very happy with the quality. Look forward to buying more. Sinister Squashling, Murkimus and the little Ravasaur hatchling... I would buy those in a second! I already have the first set and they are even more cool then I thought they would be! 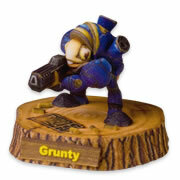 I'd love to see Murky, Mini Diablo, and Mini Tyrael!!!! 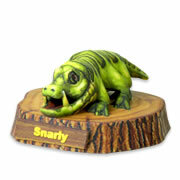 I'd love to have a Murky, Hippogryph Hatchling, and a Sprite Darter Hatchling! Got my order placed. I hope they can make some of the cooler pets, like the Dragon Kite and the Elwynn Lamb! Would be better if you got to choose which three pets you got in your set, or got to buy them individually for the $25 each. Jubling, Dun Morogh Cub, Cobra Hatchling, Oracle Hatchling, Pink Elekk, Rocket Chicken, Pengu, Lil' K.T, Proto-Drake Whelp, alot of pets would make good FigurePets. 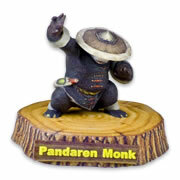 Oooohh FigurePets in Blizzcon bags? I may swoon in joy! 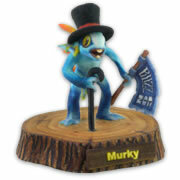 As for me, I'm hoping for Whiskers and possibly a baby Murloc. Too bad real life money isn't as easy to grind as gold in game. And too bad real life space is more limited.